A US ally used a $3 million Patriot missile to shoot down a $200 drone purchased from Amazon.com, an American general has revealed, questioning the economic consequences of the operation. “A very close ally of ours was dealing with an adversary that was using the small quadcopter UASes and they shot it down with a Patriot missile,” he said, stopping short of actually naming the country in question. While Perkins admitted the ally “won” when it came to the “kinetic exchange ratio,” he questioned whether the move was economically wise. “I am not sure that it is a good economic exchange ratio, in fact, if I am the enemy, I am thinking ‘I am just going to go on eBay and buy as many of these $300 quadcopters that I can and expend all these Patriot missiles,’” he said. He went on to explain that there are more cost effective ways to combat such drones. “There’s ways to get at this with electronic warfare, with cyber,” he said. 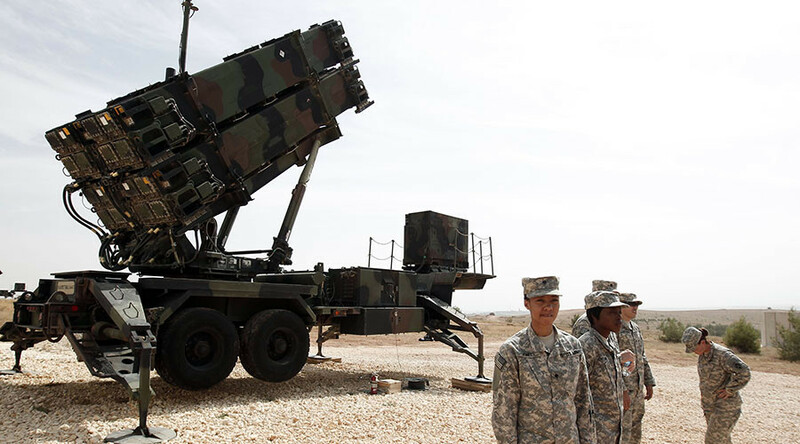 Thirteen countries possess Patriot missiles, according to manufacturer Raytheon. Unmanned aerial vehicles (UAVs) are becoming an increasing problem for militaries, with Islamic State (IS, formerly ISIS/ISIL) jihadists modifying commercial drones to carry 40mm rifle grenades in Syria. In January, the US Air Force placed an order for net-filled shotgun shells designed to shoot down unmanned aerial vehicles (UAVs).